I would describe myself as a pretty liberal partner. I’m not the overly jealous type, maybe too trusting at times, but I’ve never felt the need to monitor or strip my partner of their right to have female friends. I’ve never minded if they still spoke to ex’s and I don’t expect to be involved in every aspect of my partner’s life. My logic has always been that if someone wanted to cheat on me, there’s nothing I could do to stop it. So why stress out and follow them around? I think that if I’m a half decent woman to be with (which I am), if a lover wanted to cheat, then frankly he’s an idiot and good riddance to bad rubbish. I’d rather be cheated on and ditch the traitor, than place demands or limit anyone else’s freedom, including my own. My mental health is worth far more than my desire to constantly keep track. The unavoidable truth is that no one can really control what other people might do, that includes whether or not they hurt you. However, someone who suffers from possessive tendencies will try to control this possibility anyway. What they fail to see, is that this need to control still puts their power into the hands of outside forces. They are hurt by their own compulsion, especially when there is no real reason behind it. 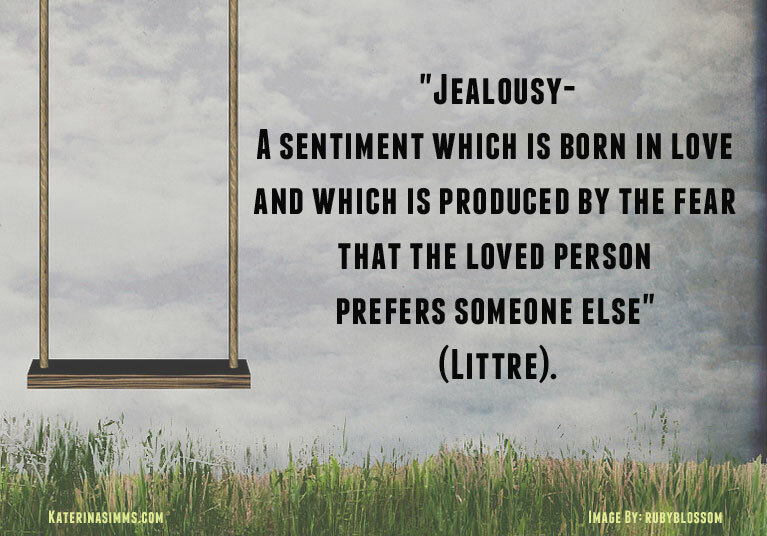 The flip side to jealousy is that often those who display jealous behavior are the ones indulging in betrayal (or to some extent they feel an urge to). What happens here is that the jealous party externalizes their emotions and deeds onto their partner, which manifests as a fear that their partner might turn around and betray them back. Reactive Jealousy – Your partner has shown real and significant signs that lead you to believe they are untrustworthy. They may act non-committal toward the relationship, or you have evidence they have not been faithful. Suspicious Jealousy – You have no real signs or solid reason to justify your sense of betrayal, and are therefore not contributing to your relationship in a meaningful way. On a subconscious level you fear your partner may wake up one day and move on without you. You don’t fix your fears of betrayal – you take them out on your partner. I’ve dated jealous people before and I can tell you one of the best ways to prevent someone from hurting you, is to be the best damn partner you can be. If any of my past jealous partners had just taken the energy they invested in getting upset over every bit of male attention I received, and put it into bettering themselves, we would likely still be together. Ironically enough, I never did cheat. For all my other relationships my possessive ex’s tried to restrict, the one that fell apart was their own. Decide. Is there a good reason to suspect our partner of any misdeed? 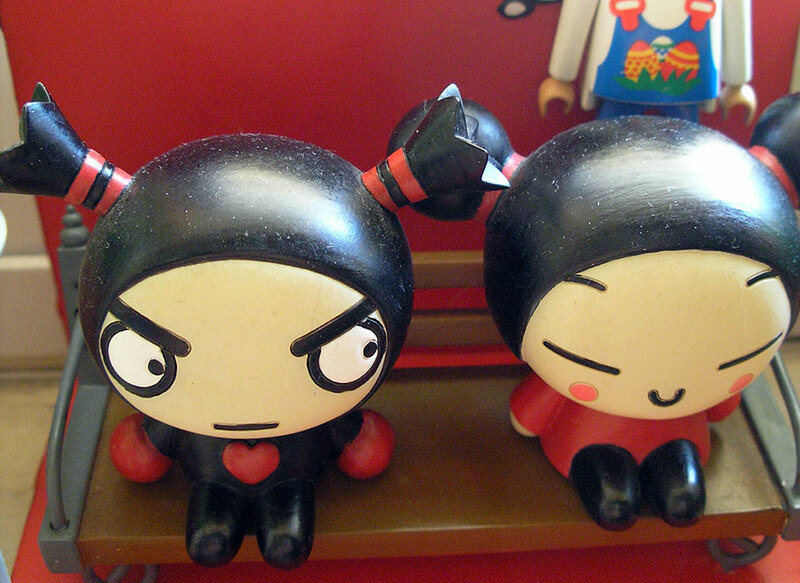 If you partner is the jealous one, is there a rational reason for them to act so? If your answer is yes to either of these, it might be time to re-evaluate the relationship. Independence. There was a time when you managed to survive without your partner, if something were to happen to this relationship you would be ok. Endings happen to couples all the time, whether it’s a planned break up or something more tragic. Holding on too tight will not only strangle your relationship, it will ruin all potential joy and leave a trail of bad memories. Ask yourself if this is what you really want. Over dependency is not healthy, so perhaps start finding things that either of you can do separately. The extra distance will give you something to talk about next time you reconnect. Self-confidence. What is it that really goes through your mind when the jealousy strikes? Anger-based reactions are often rooted in some type of fear. If there is no solid reason for the jealousy, perhaps a lack of confidence many be the cause. Get Help. This leads on from my last point – your state of happiness and confidence is no one’s responsibility but your own. If you struggle to overcome or define the reasons for your jealousy, seek the assistance of a professional, and don’t rest your well being solely on your partner’s shoulders. I’ve always believed in instant trust. I will usually give a person my faith until they give me reason not to. As glamorous as Hollywood makes a jealousy partner seem, in real life, jealousy and love are not the same thing. Anger, insecurity and jealousy will only drive people away, and more importantly, it doesn’t feel good. This post is an extended reply to the Quora question, Insecurities: Is it right if I restrict my girlfriend from talking to other guys?